Russia will emerge as the world’s most vital country within the next decade. The country will do so out of a matter of utter necessity, and the necessity has nothing to do with energy. The hybrid war being waged by western leadership today, it is an unmistakably a pitched battle over the world’s last pools of natural resources. Chief among these is water. The famous psychic Edgar Cayce may have been correct in predicting Russia’s emergence as a new “light” of the world. 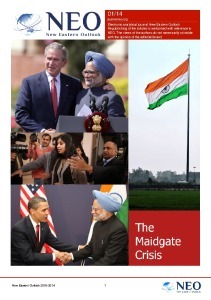 Some reading this will baulk at the notion of Vladimir Putin’s Russia as the most “essential” nation on Earth. My country, the United States, has dominated world issues for some decades now. Before America, Britannia “ruled”. For most of modern history an uneasy friction has dominated international relations. We have been “at war” since forever, when all is said and done. But the “war” will soon be over, one way or another, this is incontrovertible. News the other day, let’s say from the Kremlin’s “back yard”, enlightened me to the larger scheme of things. A tiny news fragment most people would miss, tells us of an unstoppable eventuality. It’s a reality Mr. Putin and all those behind realize too. Russia is one of two remaining reservoirs of vital water resources left. While ample water exists elsewhere, Russia’s is in closer proximity to vast, expanding deserts, and people destined to starve to death without more food. 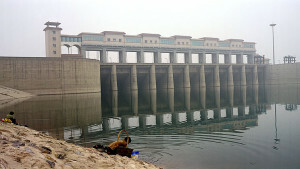 On May 3rd RT ran a story entitled, “Thirst for water: Russia to send freshwater to drought-stricken Chinese region”. Not many mainstream media outlets bothered to cover the story, but I assure you its significance is far greater than any gas pipeline news you ever read. 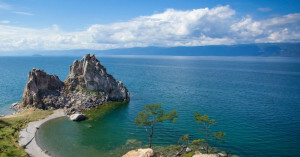 According to the news, Russian authorities announced a plan to deliver freshwater to the most drought-stricken area of China, via Kazakhstan. Russian Agriculture Minister Aleksandr Tkachev told reporters of scheme to deliver water from Russia’s Altai Krai in western Siberia to the Xinjiang Uyghur Autonomous Region in northwest China. The story bears deep scrutiny for several reasons, not the least of which is the tiny fraction of water resource being discussed. The first clue as to how desperate China’s water needs are is indicated in the miniscule drop of water resource the report speaks of. According to the RT story, the three vast deserts of this part of Chine are to be “allowed” 70 million cubic meters of water per year. Now this may be a misprint of a greater number like 70 million cubic meters per hour or day, but the reader should know the stated quantity does not even equal a small lake. But it is the announcement of the “plan” that is significant. It is here we come to the issue of total arable land, and the worldwide effects of a process known as “desertification”. I cannot expect ever reader to be a geographer, so I will explain. The process of desertification, or the growth of deserts, has been going on for millennia. In North Africa, for instance, the formation and growth of the Sahara is probably what caused the rise of Egyptian civilization, as people migrated to the Nile river system, and congregated to form that great empire. The process, as I said, is ongoing. The Sahara expands at an accelerating rate to the southward, something on the order of about 3 miles per year. This says nothing about the effects of lost topsoil carried away in arid months by the now shifted Harmattan winds that have now pushed monsoon rains further south. The processes are complex, but basically the middle of the world is drying up. The bad news is, the processes are not localized to Africa. This can readily be seen just glancing at any globe or map. The middle latitudes are brown or sand colored, while the extreme north is green. As the saying goes, “you don’t have to be a rocket scientist” to understand. Now factor in 2 billion Chinese people, and another 2 billion in India, and you can go out and invest in Russia water resources now. I can show you the maps and geography to prove this out, to reveal where Mr. Putin’s people will build the spillways and reservoirs, but the real proof of what I suggest is already shown by the World Bank. The bottom line here is, Russia is capable of feeding about half the world, and of irrigating lands that can feed the rest. Not only this, but Vladimir Putin’s greater plan will render meaningless any US or UK policy toward massive Kazakhstan, Kyrgyzstan, Turkmenistan, Uzbekistan, Mongolia, and many others. The decline curve in the amount of arable land per person in these countries is the crucial metric. Each shows an extreme downward curve. With the focus on China, that populous and massive nation is in dire trouble. The country only has 0.08 hectares of arable land per person. By comparison, Russia has over 10 times more, twice as much as the United States. For my American countrymen it may be essential to know, the arable land curve for our nation is falling faster than any nation on Earth, and fracking is poisoning what remains of our water supply. The only good news for America is, Canada is the other nation with massive water resources that I mentioned from the start. Cereal yields peaking for China and some other nations, is another factor, but we needn’t reach too deep in to world food production. The fact of Russia’s special geography and resources is unarguable. China and the region are in an emergency situation over such issues as; climate change, unfavorable hydrologic conditions, changes in vegetation composition, loss of soil services, and desertification. This is an acute situation in the northwest of the country where Russia plans to deliver water for irrigation. As of this writing, roughly 40% of the world’s area is either desert or drylands, which are extremely sensitive to hydraulic and atmosphere pressures. This study provides some of the science, but the scientific community has known all this for decades. This video about farmers on the verge of abandoning their farmlands speaks volumes for Russia’s key role to come. 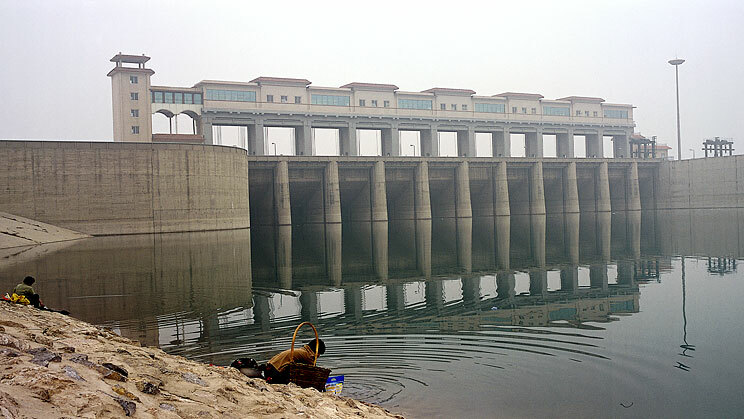 More than 400 million people in China are now impacted directly by this desertification. If left unchecked, the entire western and northern parts of the country will be barely habitable. Imagine a people pressed eastward to the lowlands where rice and fish are the diet, only to be met by rising sea level and another acute disaster. But we’ve been focused on Russia’s other resources for economic emergence. The fact is, water is the most valuable commodity in the world’s greatest storehouse of natural resources. Argue as you may, a geographer’s point of view bears the stamp of science fact. China is already spending billions to combat desertification, and untold billions spent to irrigate usable land in the northwest will be the ultimate winning investment. But what of Mr. Putin’s plans for the “new Russia”? 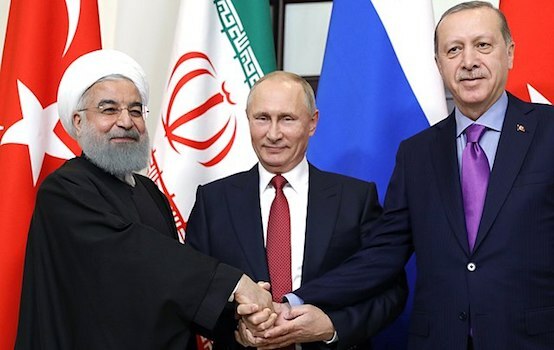 The reason western elites are so vehement to start a war with Russia, have less to do with oil, and more to do with an even more valuable commodity. Human beings can live without gas powered cars. We can do without almost everything except food and water. Let’s take food, as a starting point for this argument. Many nations have depended heavily on grain from the United States over the years, in order to supplement other food sources to feed their people. This USDA report on China agricultural demand tells us of a gigantic Chinese weakness, and a monumental opportunity too. The chart below summarizes the situation. As you can see, the demand for US agricultural products by China has grown exponentially in the last 25 years. And the situation is getting much worse with the desertification situation. As I said this water situation is both disastrous, as well as a great potential. It goes without saying, China would be far better off producing her own food. Second to this, importing from a local partner like Russia or Kazakhstan makes more economic and political sense too. Breaking this all down, we find Russia President Vladimir Putin with yet another brilliant foreign policy move. The Russia-China water pipeline is a coming reality, even Sputnik reports. But why is this a strategy coup for Putin? First of all, Vladimir Putin does not like the concept of Chinese migrating en masse to the sparsely populated regions of Siberia. Once people migrate in order to pursue better agriculture etc. annexation or disputes are far more likely. This is another reason Putin has offered free hectares in the Far East to Russian citizens. Water deals to come circumvent this aspect in several positive ways, thereby providing Putin with a “win-win” at home and abroad. Secondly, by creating a Russian water market Mr. Putin and his colleagues virtually ensure the diehard allegiance of places like Kazakhstan, both for that nation’s part in transiting, and the increased agricultural aspects Kazakh people can gain from. In short, America and the Brits can forget economic or regime change as was the case in Georgia and Ukraine. It’s brilliant actually, the plan is. But it was foreseeable always. The reasons this story did was not weighted more heavily by western media matter little really. Even Mr. Putin’s administration’s underplaying of the potential matter less, than the undeniable end result. Food and water on planet Earth will no longer be monopolized by the United States and a few other nations. The political sway, and economic bonanza which always were a potential for Russia, have both come to the forefront today. The only thing standing in Russia’s way is the potential war, the redux of Britain and the west, versus Russia. And this is where the propaganda and militarism, the terror and the lies emanate from. In a very real way, either Russia finally emerges from the cold, or the world burns up under the white hot sun of western wars waged. But England has no water resources to export, and America has her own problems. So what sort of manifest destiny is at work here? Maybe the Great War for world dominance was always lost, to a people with no need of bigger territories. Maybe the real desperation is the British one?